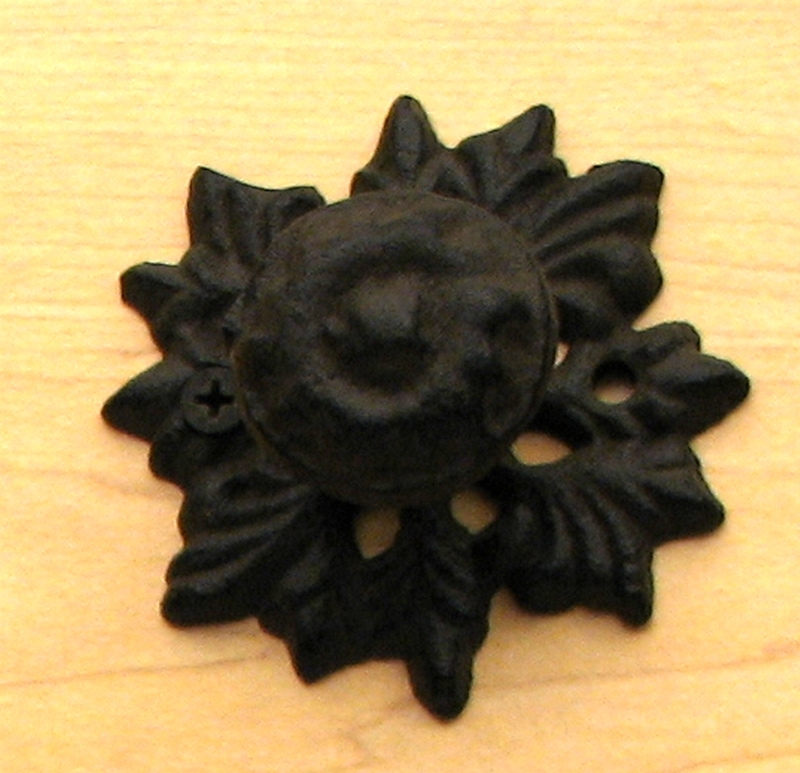 Measures: Unique drawer pulls set of 6, have a leaf base with button type knob attached. Unusual open spaces in the leaves with mounting holes set 1 7/8" apart. Measures 3" x 3" x 1 7/8" D.